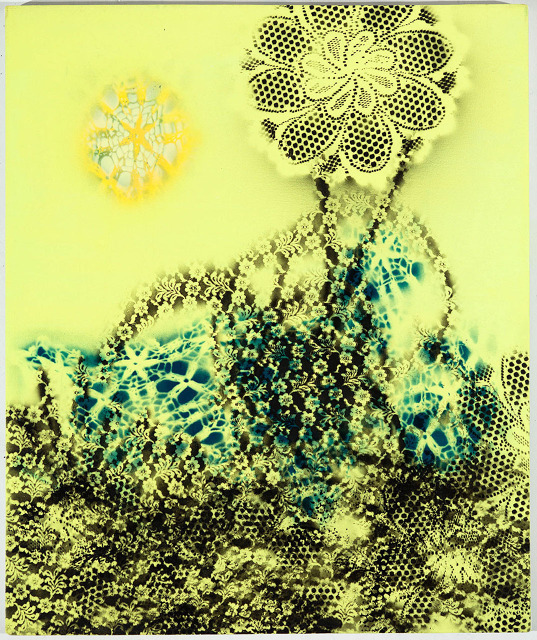 Bushwick-based artist Tamara Gonzales has devised a distinctive style that bonds together her interests in popular culture and extravagant arts— spray painting through lace patterns. The artworks’ vibrant spray painted colors juxtaposed with the subtle intricacies of lace patterns create a kaleidoscope-like effect. With inspiration from her travels, her studies in both Christian and pagan religions, and her urban surroundings, Gonzales produces these eclectic paintings. 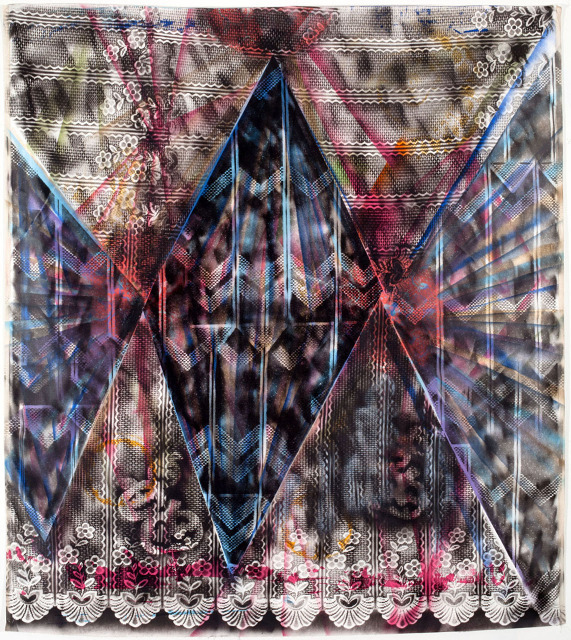 The artist’s current untitled show, presented by Norte Maar, consists mostly of new works created in this manner. 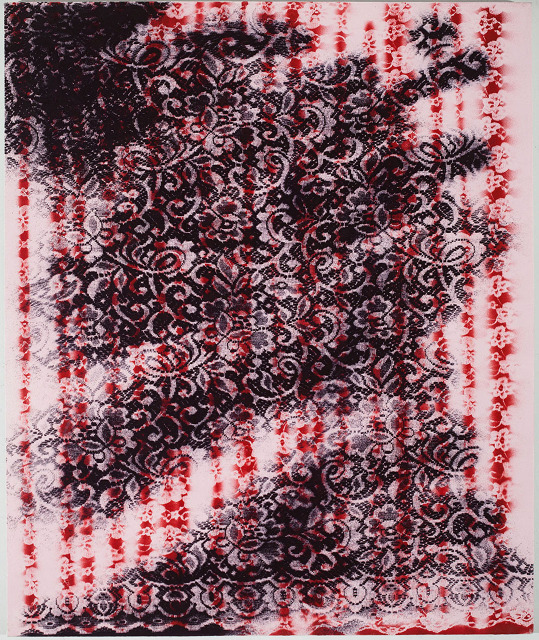 Gonzales’ describes her paintings as a method of conveying her interests in “Baroque churches; rose windows; altars; pattern; decoration; excess and gaudiness” through the unique texture of a single surface. Gonzales collects all her patterns, many which she purchases from dollar stores and thrift shops by means of cheaply made fabrics such as curtains and doilies. But she also collects woven and hand-made lace that lends the feel of a collaborative effort between the lace-maker and herself. These objects are manipulated to achieve an effect of embellishment on canvas which really hasn’t been excessively worked on, since the work requires both the careful placement of patterns and broad, energetic gestures in paint application by the artist. The final images give off a vibe equally mystical and celebratory.